Because not only does Streatham Carpet Cleaners get your carpets and rugs cleaner than anyone else does in SW16, but they offer the cheapest services in area! We don’t skimp on service to keep our prices low either. Our carpet cleaners are experienced and dedicated to delivering 100% customer satisfaction at a great value price. Our teams operate throughout the SW17 district and beyond and we have no minimum order size. We pride ourselves on getting carpets, rugs and all kinds of textile-based floor coverings looking as good as new! Choose from a comprehensive range of services for both domestic and business clients and we guarantee our prices can’t be beaten. Call 020 3744 3375 now for a free consultation. We’ve been in the business locally for years and we’ve dealt with just about every kind of floor covering you can think off. Our customers are local residents and businesses who expect a professional carpet and rug cleaning service at a cost-effective price. We deliver across the board, which is why we are always welcoming new customers and retaining existing ones. Our carpet cleaners Streatham are known throughout the neighbourhood as being courteous and diligent and they will not leave the premises until you are 100% satisfied with their work. We take pride in achieving the very best carpet cleaning results and putting a smile on our customers’ faces. Why don’t you call us today and we’ll tell you about our special offers? Streatham Cleaners Company is the Greenest in the SW16 Region? Our professional Streatham cleaning services use 100% eco-friendly products and techniques to ensure our carbon footprint is minimised. We pride ourselves on getting rugs and carpets clean without using harsh chemicals or creating harmful fumes. We want you to be happy that your carpet is as clean as it can be. When you hire us you are also improving the air quality in your home or office. Say goodbye to house dust flying around the room every time you walk across the carpeting. We’ll remove most of those invisible particles that get trapped in the fibre of your flooring. Our system is more effective than anything you can achieve yourself, so why bother? Call us on 020 3744 3375 today and we’ll tell you how we can clean your rugs and carpets the green way! Whatever You Want, Streatham Carpet Cleaners Have a Bargain Service in SW16! Our rug and carpet cleaning work for both residential and commercial clients, cleaning everything from carpet tiles in large office buildings through to delicate rugs in a customer’s home. 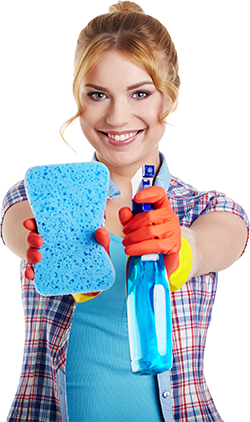 We mainly use two techniques – steam carpet cleaning and Streatham dry cleaning. If you need a one-off job done because maybe your flooring is looking tired, we would recommend the steam carpet cleaning system. It delivers a fantastic deep clean that restores colours to showroom quality. We use very powerful machinery to ensure limited drying time after our carpet cleaners are finished. Dry carpet cleaning on the other hand is probably better suited to a rug and carpet maintenance programme, which is when we arrange a weekly site visit. There is no drying time involved in this process and so you are free to walk on your flooring the second we’re through! Call 020 3744 3375 and speak to our advisors about what carpets or rugs you need cleaned and they will give you a free consultation. We are a large cleaning company spanning the whole of SW16 and have professional and great value carpet cleaners Streatham in your neighbourhood. You won’t pay the earth for our top-quality services, we guarantee it. No matter where you are in the SW16 or the SW17 postcode areas, no matter how big or small the job, Streatham Carpet Cleaners has a great carpet and rug cleaning service to suit your needs and your budget. Description: Take advantage of our extremely affordable professional carpet cleaning in Streatham, SW16 by dialling 020 3744 3375 now. Don’t waste time, offers are waiting!